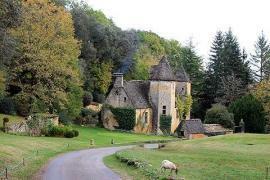 Souillac is about 30 km east of Sarlat. 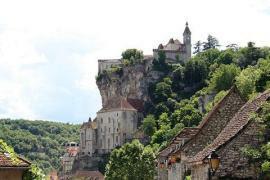 Souillac is a very pleasant town and an excellent base for exploring the east of the Dordogne department and the north of the Lot. There are lots of camp sites in the hills rising above Souillac. 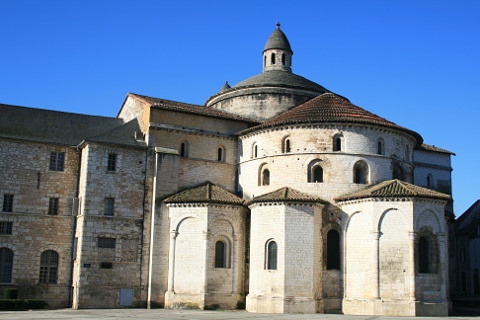 The main attraction in Souillac is the Abbey Sainte-Marie. 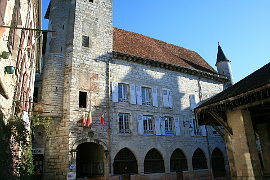 The original abbey was built in the 12th century. 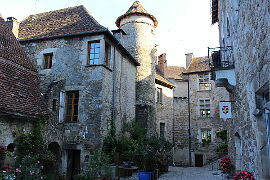 Souillac's situation on the road between Toulouse and Paris, on the river Borrèze and close to the river Dordogne led to the development of the town. 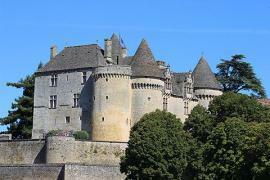 It was surrounded by a defensive wall with five entrances. 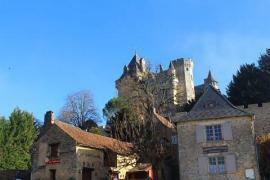 However the town and particularly the abbey suffered in the wars of religion. In the 17th century the benedictine monks rebuilt the monastic buildings next to the abbey. The abbey has beautiful domes in the same style as the cathedral at Perigueux. Inside are some excellent Romanesque sculptures. The town itself still contains many vestiges of its medieval past and you can pick up a guide from the tourist office or take a guided tour either on foot or on 'the little train'. 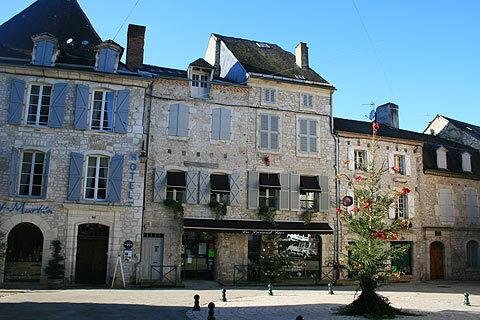 The tourist office is situated on the main street of Souillac, Boulevard Louis Jean Malvy. It is built into the back of the St Martin's church. This church was converted into the Town Hall from 1825 - 1985. The town hall has now moved to the edge of town. My favourite part of town is around the town library which is in a beautiful 14th century medieval building. The road behind this, the Rue de la Halle is full of interesting buildings. 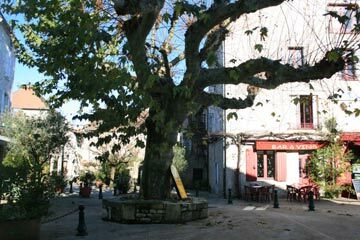 This road was the original 'Grand Rue' and joined the two main gateways into the town. The halle in Souillac is a 19th century neo-classical building and has probably replaced an earlier structure. 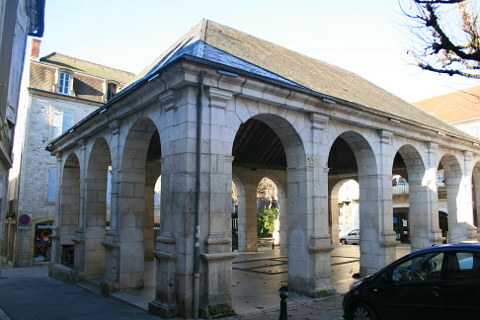 Many towns in this area have medieval halles. These come into their own on market days when they are used as the focus of the weekly fruit and vegetable market which takes place in all the larger villages in the area and is a popular time for locals to get together. In Souillac market day is Friday. 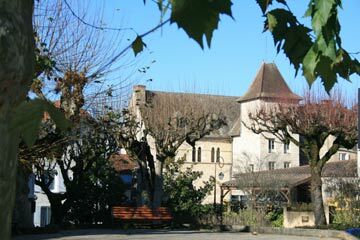 Le mussée de la Vieille Prune - distillery, wine and alcohol including a chance to sample the products. 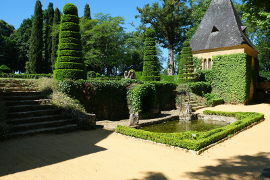 The lovely town of Martel is nearby and gardeners will want to visit the impressive Jardins d'Eyrignac which is a marvel of sculpted box.